Flying insect killer in aerosol can. Provides residual control around doors and windows. 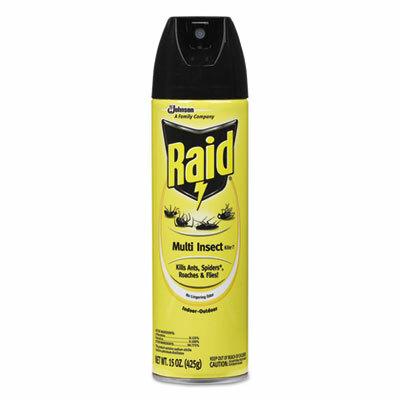 Provides fast knockdown of insects, simply by spraying directly. Kills a variety of insects including flies, mosquitoes, gnats, hornets, Asian lady beetles, moths, fruit flies, boxelder bugs, wasps, and yellow jackets. Spray leaves no lingering chemical odor and is safe for indoor or outdoor use. Click here to see more Insecticides!